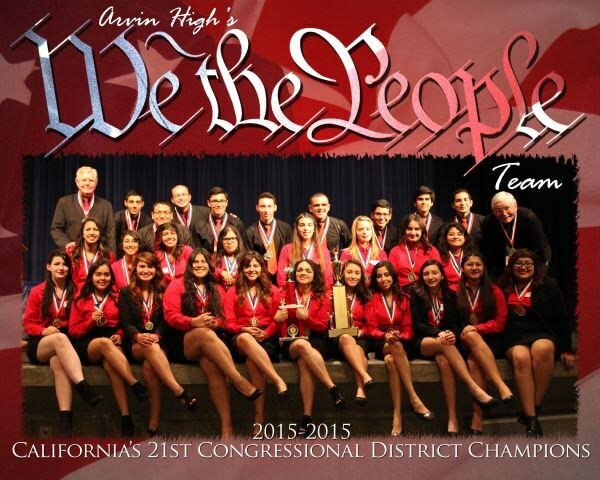 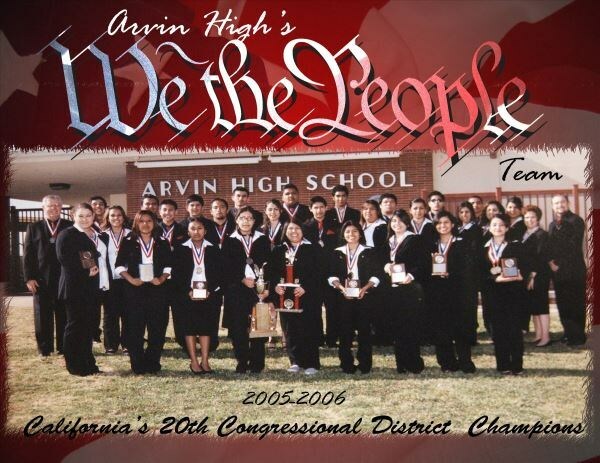 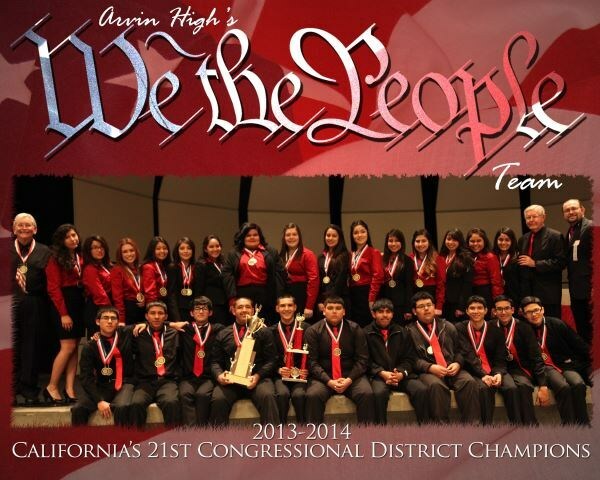 About The Arvin High We the People Team…. 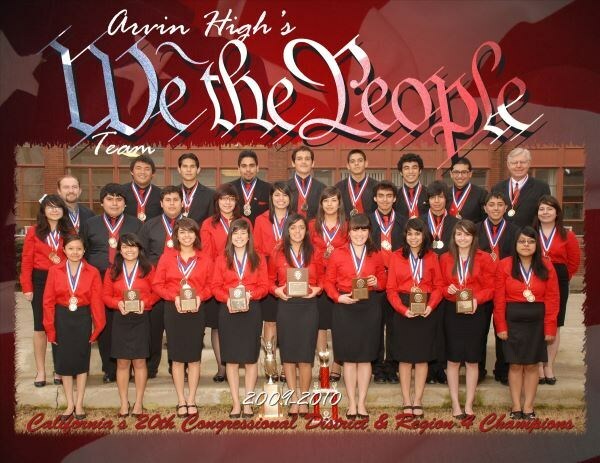 The We the People program is a knowledged based competition centered on the origins, philosophies, and inner workings of the United States Constitution and government. 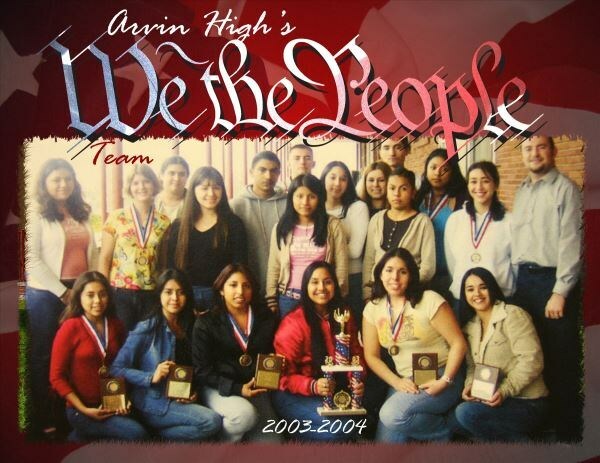 It was developed by the Center for Civic Education, under a grant from the Department of Education. 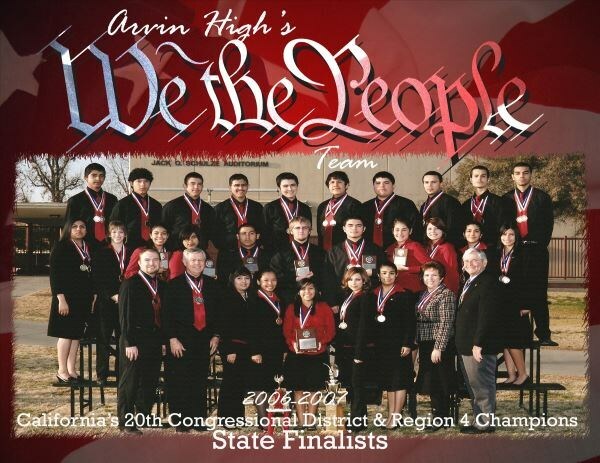 The team is composed of Arvin High Seniors enrolled in 12th Grade Government. 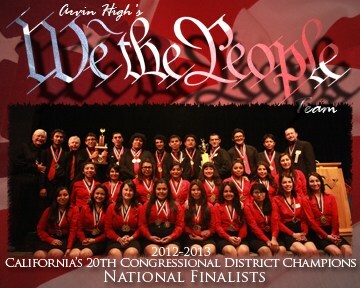 The competition format is that of a mock congressional hearing wherein the students take on the role of an expert panel who will testify before a panel of judges representing Congress. 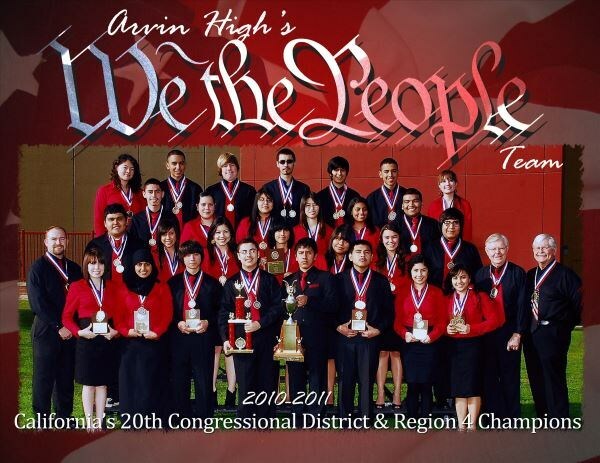 Students will give a four minute prepared speech followed by an open and unprepared question and answer session centered around the panel’s particular unit focus. 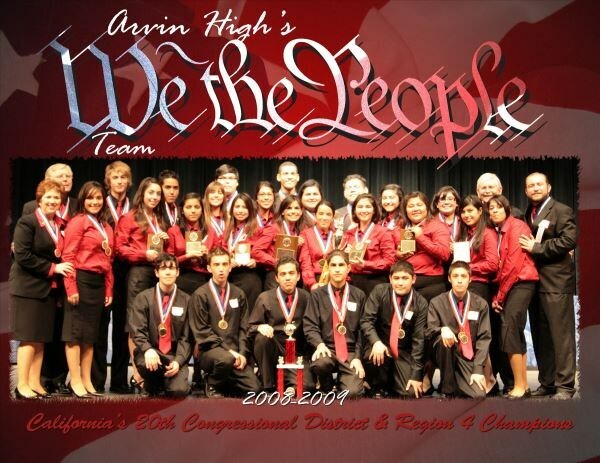 This interactive back and forth between the students and judges ensures that the students must think and answer critically about the questions posed. 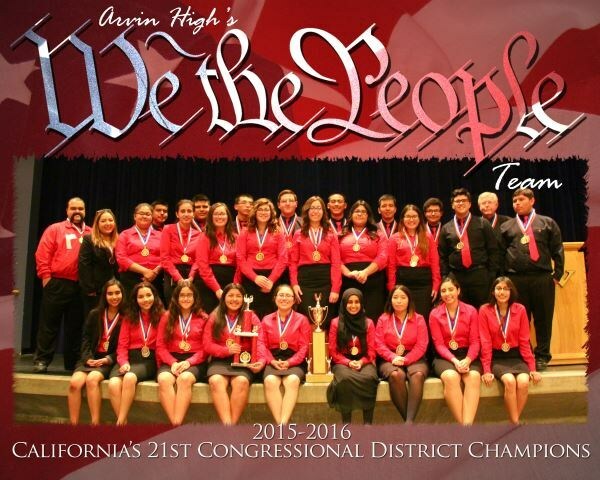 This requires the students demonstrate superior knowledge and understanding of our system of government rather than a simple cursory knowledge of the facts. 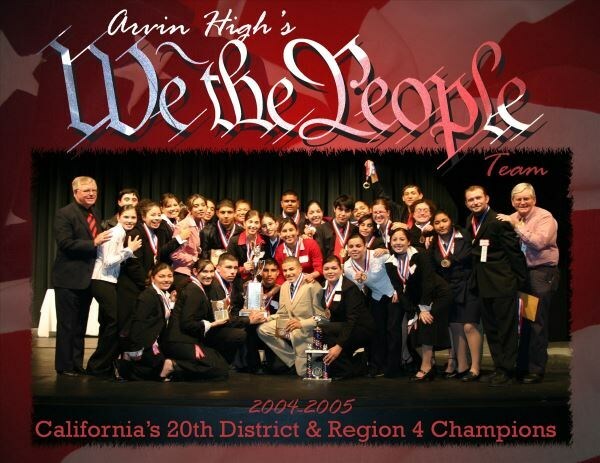 In each class students are divided into six units which in turn focus on a particular theme for the competition. 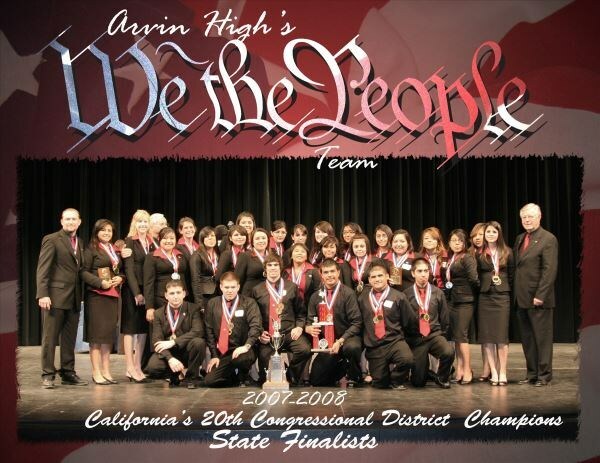 The Arvin High We the People Team is coached by Robert Ruckman, who is himself an alumnus of the program and Arvin High graduate. 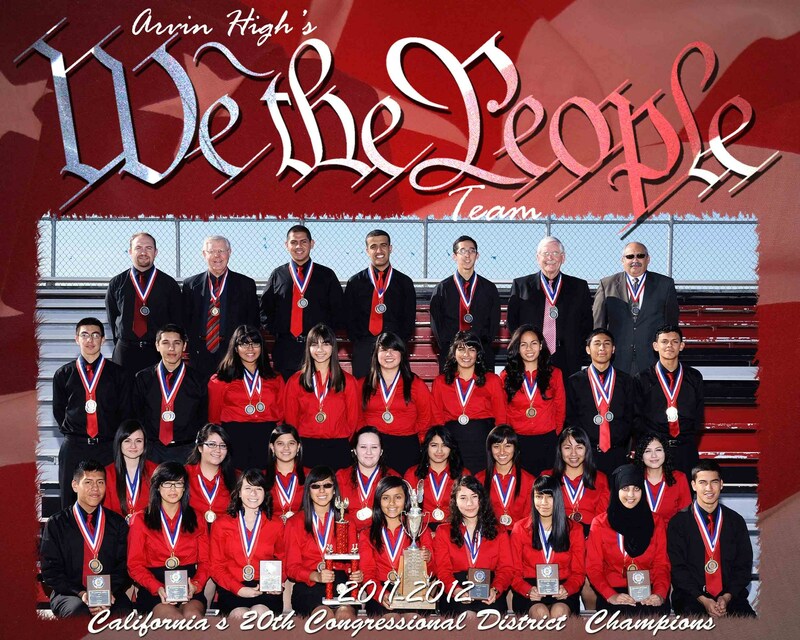 He is assisted by former Arvin High students and teachers Larry Hallum and Dr. Jim Young.